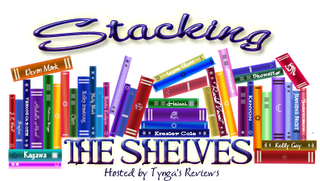 Stacking the Shelves is a weekly meme at Tynga's reviews to show off new additions to our book piles, be they bought or received from a publisher. I've heard so many amazing things about The Book Thief that I just had to get it when I spotted it! I've also been curious about Wings for a while, but always felt a little too dubious about it to buy at the store at the normal price. But for 1.50 Francs? Why not. I've never heard about Between, but the summary drew me in. As for Kisses From Hell, I already own Love is Hell and Promnights From Hell and there is a story by Richelle Mead in it... grabbing that one was a no-brainer. I have no idea what the Graham Greene book is about, but I've been meaning to read one of his works for a while (it's actually embarrassing that I've never read him, being a Lit student and all).